★These are a color variation on the revolutionary mix-and-match DCR-02 body parts. 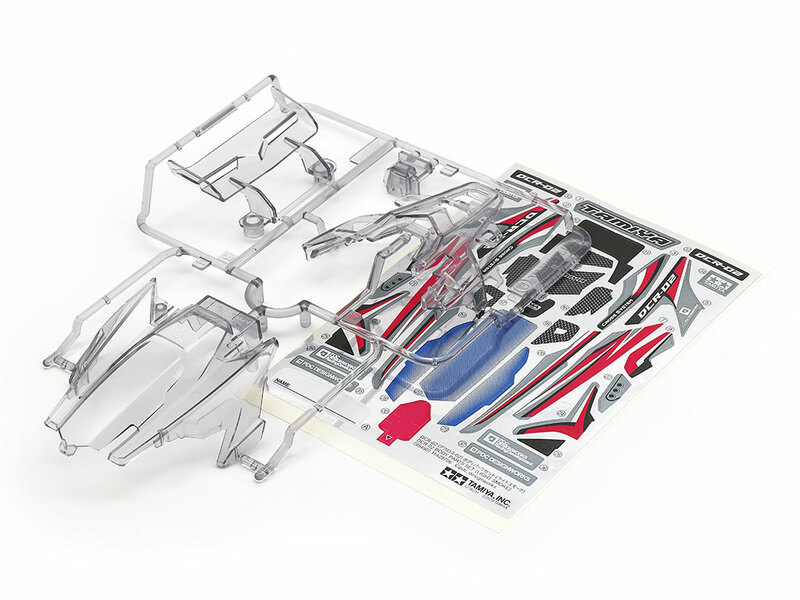 ★Clear components will show off the chassis and workings of your Mini 4WD car, and can be used with a whole range of color schemes. ★Comes with dedicated marking stickers. ★Material: light smoke (tinted ) ABS. Information is correct as of April 4, 2019. Specifications are subject to change without notice.